Practice your numbers with Peppa. 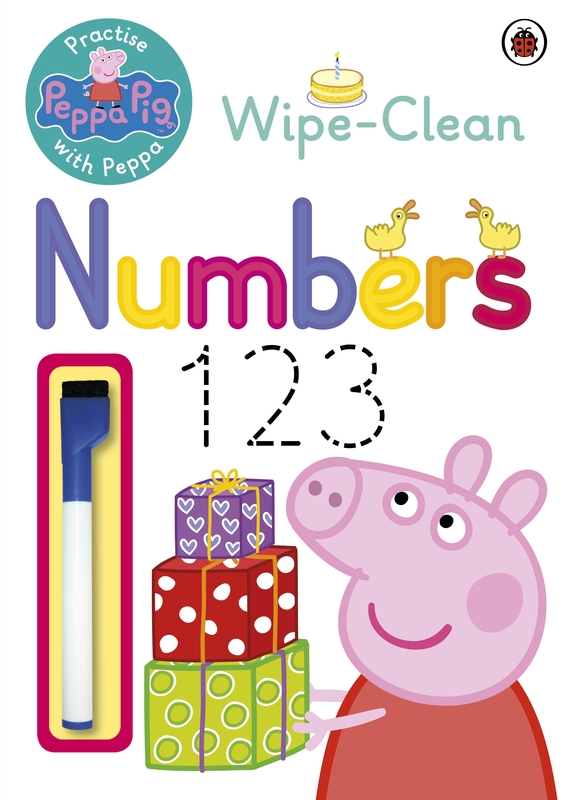 Learn how to write numbers and begin to count with this wipe-clean activity book. Perfect for Peppa Pig fans who are starting school and developing their counting skills and pencil control. Children can wipe the page clean and practice again and again. Includes a free pen. Based on the hit pre-school animation, Peppa Pig, shown daily on ABC4Kids. Love Peppa Pig: Practise with Peppa: Wipe-Clean Numbers? Subscribe to Read More to find out about similar books.